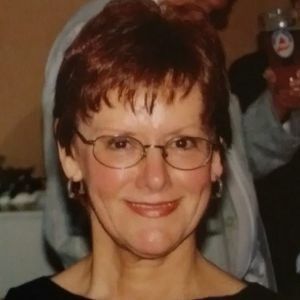 Suzanne B. Myhaver, 76, of Manchester, died April 2, 2019, at her residence, after a lengthy illness, surrounded by her loving family. Born in Manchester on February 7, 1943, she was the daughter of Arthur G. and Patricia (Boisvert) Biron. She was a graduate of Villa Augustina High School and attended Notre Dame College. Suzanne worked as a legal secretary for Wadleigh Law Firm for over 40 years before retiring in 2009. She was a resident of the Queen City for more than 57 years. Suzanne enjoyed time spent entertaining, cooking, and gathering with family and friends. She also enjoyed gardening, hiking, traveling, sailing and time spent at the beach. Suzanne was a very spirited and happy person. Above all, she will be remembered as a loving wife, mother, grandmother, aunt and friend. Family includes her husband of 50 years, Frederick M. Myhaver of Manchester, one son, Eric M. Myhaver and spouse, Katrina V. Brink of Boston, MA; one daughter, Amy S. Myhaver of Covington, KY; one granddaughter, Isabel B. Brink of Boston, MA; sister-in-law Mary Bleier of Rochester, NY; and numerous nieces and nephews. SERVICES: There are no calling hours. A Mass of Christian Burial will be celebrated at 10 am on Saturday, May 4th, at St. Catherine of Siena Church, 225 Hemlock St., Manchester 03104. Burial will take place in NH State Veterans Cemetery, Boscawen, at a later date and at the convenience of the family. In lieu of flowers, donations in Suzanne's memory may be made to: Concord Regional VNA, 30 Pilsbury Street, Concord, NH 03301. Add your thoughts, prayers or a condolence to Suzanne B. 's guestbook.